Old gaming laptops that are now heavily discounted offer some of the best value to the dollar considering that they are often sold at cost or at lost in what we consider as “barebone” gaming laptops. In our quest to look for the most affordable gaming laptops, we started to look around if there was such a thing as a barebone gaming laptop. That would be like asking if there was a barebone Rolls Royce. As every serious gamer knows, a gaming laptop is the Rolls Royce of the mobile computing world. But in the same way we were challenged to find reasonably muscled laptops at or below the $500 price point, we now embark on a quest to find very basic laptops that can play even the most demanding games of 2010-2011 at the lowest game settings that won’t need the bells and whistles to make them a rewarding multimedia center, despite the fact that any laptop that can play such games can also play HD movies on the side. Given the profile of many casual gamers who can settle with low game settings and download games or play games online, it’s perfectly possible for a barebone gaming laptop to have no optical drive and there are actually several models that have taken this out to conserve a lighter weight. But these are often done in stylish expensive high enders. In addition, we checked if there are laptops with a lower screen resolution than the 1366 x 768 that is quite common these days. Unfortunately, there are none, at least none that matches our gaming standard. Lastly, in our quest to go barebone, we didn’t overlook the many refurbished, second-hand or used, and heavily discounted laptops that now go from 12% to 30% off from their regular list prices. Some laptops in the $1000+ regular list prices are now in the $400 to $800 price points, either discounted as old inventory or being peddled as second hand. They are clearly more muscled than any brand new laptops at this same discounted price points. Games like Diablo 3 and Counter Strike: Go can be played at their highest game settings while some like Elder Scrolls V will sputter at 28fps. This model had a list price of $660.33 but can now be purchased at $551.99 which puts it among the best value gaming laptops at this price point. 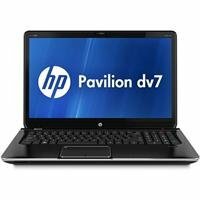 Bundled with a 64-bit Windows 7 Home Premium edition, the HP Pavilion dv7-7115nr sports 17.3-inch display with 1600 x 900 resolution and is powered by a 1.9GHz AMD Quad-Core A8-4500M accelerated processor with a 4MB L2 cache and a dual module 8GB DDR3 SDRAM. What makes this a capable gaming device is its AMD Radeon HD 7640G Discrete-Class graphics that has a 4GB video RAM making it more powerful than any laptop with an Intel HD Graphics 4000. It can play most of the demanding games in 2012 in low to medium settings. Games like Diablo 3 and Counter Strike: Go can be played at their highest game settings while some like Elder Scrolls V will sputter at 28fps and highly demanding games like Witcher 2: Assassin of Kings and Risen 2: Dark Waters will not play at all. 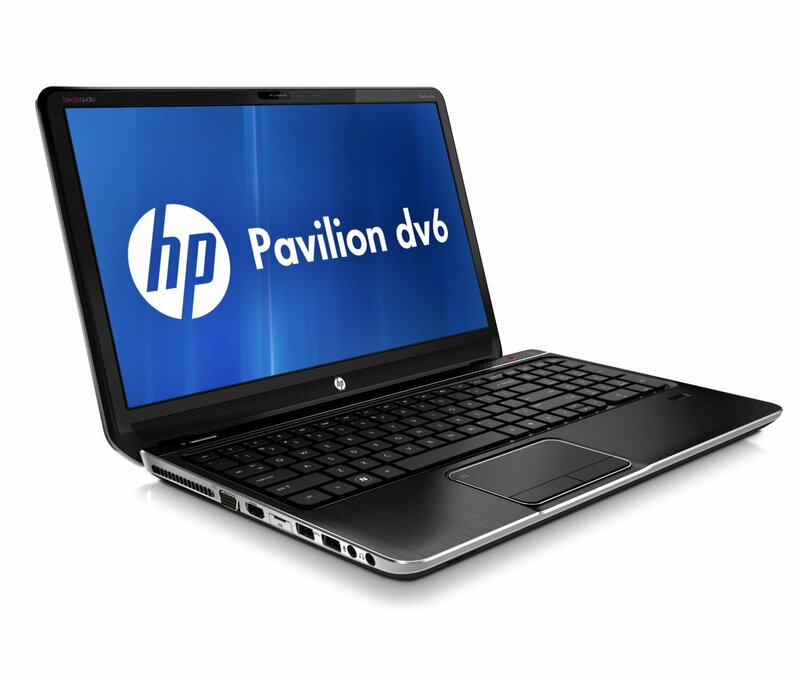 Powered by the same AMD quad core A8-4500M processor clocked at 1.9GHz with 6GB SDRAM,, the HP Pavilion dv6-7010us is a $749.99 value that now retails at $449 used but in near mint condition. Sporting a smaller 15.6” screen with 1366 x 768 HD resolution and bundled with a 64-bit Windows 7 Home Premium edition, this 5.7-lb laptop uses the same AMD Radeon HD 7640G with its own 3GB video RAM to make it more muscled than any laptop with the Intel HD Graphics 4000 for the casual gamer. An $899 value that can now be had for half that much at $435 as a used laptop, the HP Pavilion dv6t Quad Edition. An $899 value that can now be had for half that much at $435 as a used laptop, the HP Pavilion dv6t Quad Edition sports a 15.6″ LED-backlit screen with 1366 x 768 resolution and is powered by a 2nd generation Intel Core i7-2630QM clocked at 2.0 GHz and supported by a 6GB DDR3 system RAM expandable to 8GB. It graphics engine is a discrete AMD Radeon HD 6490M which is 12% more powerful than the Intel HD Graphics 4000 and even comes with its own 1GB GDDR5 video RAM. It is equally muscled as the HD 7640M graphic card used in the Pavilion dv6-7010us and the dv7 7115nr. 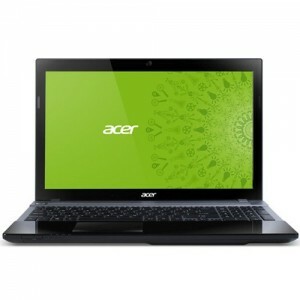 Acer aptly labeled this a gaming notebook which, at a discounted price of $596.99 to $623.45 from its $799.99 regular list price, can be considered the best value laptop for the serious gamer. Acer aptly labeled this a gaming notebook which, at a discounted price of $614.99 to $623.45 from its $799.99 regular list price, can be considered the best value laptop for the serious gamer. Powered by an AMD A8-4500M quad core clocked at 1.9GHZ and supported by a 4GB SDRAM DDR3, its 15.6-inch LED backlit 1366 x 768 display is driven by a Crossfire dual AMD Radeon HD 7670M with its own 1GB video RAM. On its own, a single HD7670M is a midrange GPU that can play some of the most demanding games like Battlefield 3, Max Payne 3, Eder Scrolls V and Anno 2070 seamlessly in medium game settings and can drive up to 5 displays simultaneously with its Eyefinity support. It is often seen in laptops costing more than this. But using a Crossfire dual configuration, even Battlefield 3 can now be played fluidly in high game setting. Few gaming laptops that can delight a serious gamer can be found in the sub-$1000 price and this Toshiba Satellite S875D-S7239 is selling at just half of its list price at $655.49. Powered by an AMD A10-4600M quad core accelerated CPU clocked at 2.3GHz and with 6GB SO-DIMM system RAM, this Satellite sports a gorgeous 17.3-inch LED-backlit screen with 1600 x 900 HD resolution that is powered by the high performance AMD Radeon HD 7660G integrated with the A10 processor and sharing with the system RAM. It approaches the performance of the discrete HD 7670M used by the Aspire V3-551G-8454 by a mere 2% in performance benchmarks. Gaming laptops 12-18 months old are now heavily discounted while some that are pre-owned or used but with excellent working conditions have significantly reduced prices. They offer the best value to the dollar considering that they are often sold at cost or at a lost in what we consider as “barebone” gaming laptops whose features are topnotch during their time but which we can get today at prices equivalent to non-gaming laptops. They would be priced like barebone gaming laptops, except that there are no such things as barebone laptops on the market today. That would like looking for a barebone Rolls-Royce. In our quest to look for the most affordable gaming laptops, we started to look around if there was such a thing as a barebone gaming laptop. That would be like asking if there was a barebone Rolls Royce. 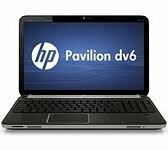 I currently have the above mentioned HP Pavilion DV6 T however my configuration involves a core i5 instead of an I7 and as far as casual to moderate gaming it does an awesome job. It is able to run skyrim at high settings without much stutters, and with a little bit of tweaking with Riva tuner or any safe overclocking application for the GPU it can be run on high flawlessly and on ultra as if it were on standard clock on high setting. I was pleasantly impressed. However like all HPs it heats up impossibly. I’m planning to replace it with a Lenovo ideapad y500. It was a trooper. Seriously I recommend it to everyone that has a budget around 1000$. Let us know about your experience with the Y500.